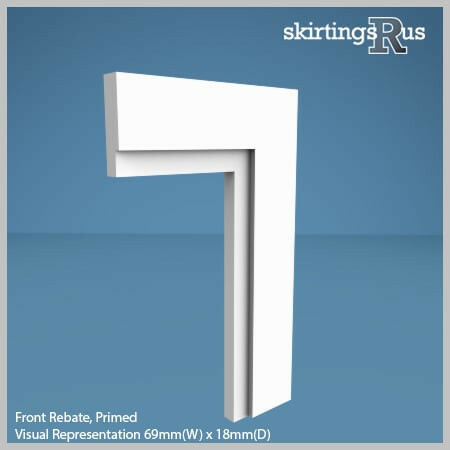 Uniquely, Rebated Front is a functional architrave, although it can still be use used as a normal architrave. Providing plaster work has been finished square at the edge of the wall, rebated architraves are designed to be inserted flush with the wall, where the plaster stops. 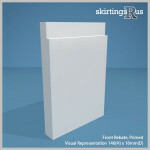 The rebate then creates a groove in the very fabric of the wall, and provides a flush architrave with the plaster work. Rebated Front architraves work excellently in modern design schemes. The rebate size on this profile can be changed if necessary. Our Rebated Front architrave is made of a high density, moisture resistant (MR) MDF. 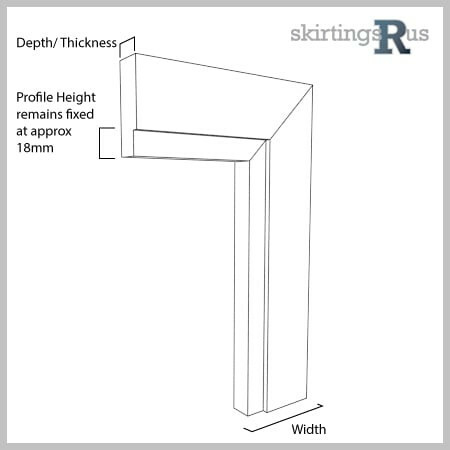 Rebated Front MDF Architrave is available in a variety of set dimensions. We can also offer bespoke architrave widths at no extra cost. Width – Rebated Front can be machined to 3 widths, 50mm, 69mm and 96mm. Our Rebated Front MDF architrave is produced in house in our midlands based factory and is machined to order from the specification options above. If you can’t see what you’re looking for, then you should know we can cut to any size and undertake bespoke requests. For more information visit our bespoke page or feel free to give us a call!